ENTER A NEW REALM OF YOURSELF AND OF THIS EXISTENCE on this beautiful 10 Day Experience entering the depths of the Spirit Realms, while being supported by healing foods & sacred healing plants to amplify & expand your consciousness, your intuition and teachings of deep healing through intentional focus, Light Vibrations and Visualizations. Connect your body, mind and spirit into your true Inner Shaman, the powerful earth centered healer within you, with infinite knowledge accessible for your True Self to Shine and bring your purpose of healing and teaching into this reality full force! Join Eli & Christina & explore the depths of your own Soul! While being supported by the lyrical & powerful earth energy of the jungle, you will be immersed in an experience filled with healing music, cleansing & nourishing foods, sacred plant medicines, nature & yoga! Throughout this retreat you will have every opportunity to connect to your true self, to rest, rejuvenate, strengthen, amplify & expand your consciousness. Each day will include daily wake-up & sunset yoga & meditation, 3 gourmet, vegan meals, various yoga workshops in different styles, private time for connecting to nature, journalling & self-reflection. Some days will include afternoon excursions to the beach, local markets & trails! One or another each day-in flow!…Beach Excursions, Jungle Hiking, local Market Adventures & more. Leave feeling clear… empowered… inspired… ignited! YOU set your intention for YOUR retreat & YOGA will unite us in helping you achieve that goal. Namaste! This training will take place at the BEAUTIFUL, PARADISE retreat center, Casa Nautika in Dominical, Puntarenas, Costa Rica. Imagine sitting atop a mountain with this expansive, 180° view directly in sight, that is not just seen, but felt. 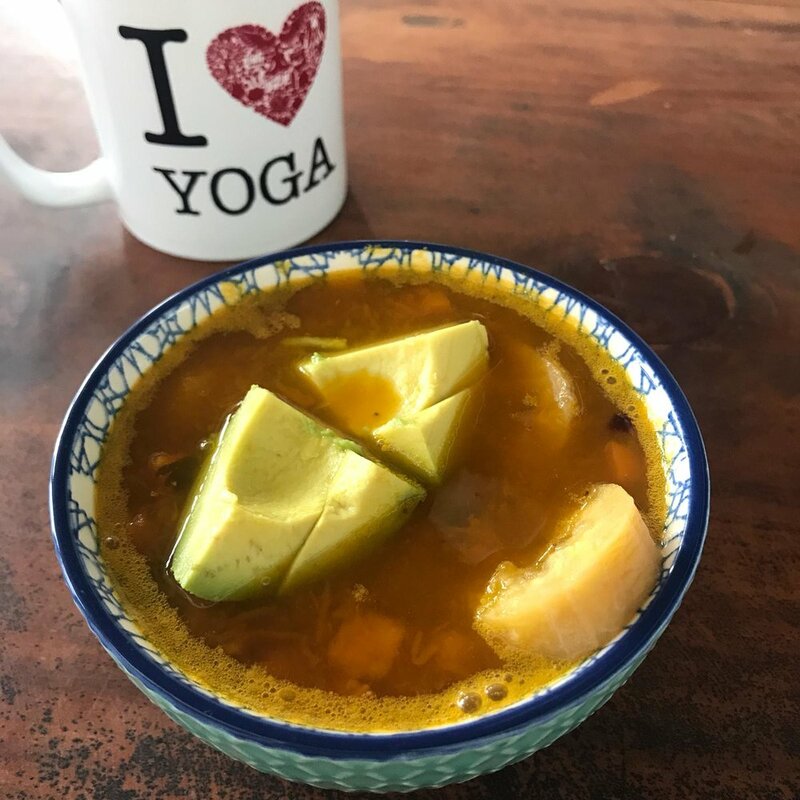 At Casa Nautika, arrive, relax and tune IN to the abundant beauty that surrounds you day and night in true paradise while being supported by detoxifying foods to cleanse and repair your body, mind and spirit! Daily post-yoga super food smoothies & energizing breakfast! Daily energy clearing & healing - theory & practice. Hatha (Sun-Moon) Yoga - discover balance within the body, mind & soul. Vinyasa Yoga - invigorate the spirit, strengthen the core & find flow with movement through the postures. Kundalini Yoga - discover the transformative magic of the kundalini fire within each of us! Yin Yoga - create space in the body, expand your being & open to deep release & letting go of any store emotions, pain, injury or past hurt allowing new energy to flow, cleanse & heal. Pranayama - learn various yogic techniques for breath work & why it matters. Kirtan - meditate / sing along to experience & learn about the magic of chanting & mantra. Bhakti Yoga - discover what devotion means to you & how to find practise in everyday life. Every day will offer the opportunity to integrate the discipline of daily practise in a variety of ways allowing you to find your own, true & unique yogic path. The combination of these ancient teachings and daily practises, when learned & integrated have the power to change your life. Learned, practised and integrated into daily life, yoga provides all tools we need to learn about ourselves, why we are here & how to rise to the call of our Soul. GOURMET Vegan and GLUTEN FREE food - 3 nourishing meals per day plus a variety of home-made snacks throughout. Additional cleansing foods on particular days. Additional Healing ceremonies to release the old and invite the NEW. Support for independent meditation, nature walks, rest & self-reflection. Practice along with healing, live music, guided meditations & visualizations to bring you into the brightest Self you can be! Special Day trips to local beaches, nature, local markets & other surprise, MAGICAL Costa Rica excursions! ELI KAISER has been working to help others on energetic, emotional, spiritual and physical levels since he was a child and has devoted his life full time to this practice. Yoga is a beautiful medium to work with as a healing system and has been a large part of his own healing journey. He is an E-RYT 200 and teaches workshops and courses that give Registered Yoga Teachers Continuing Education Credits with the Yoga Alliance. Through his Intuitive Training Courses, he offers students teachings in Energy Healing, Shamanism and Ceremony. 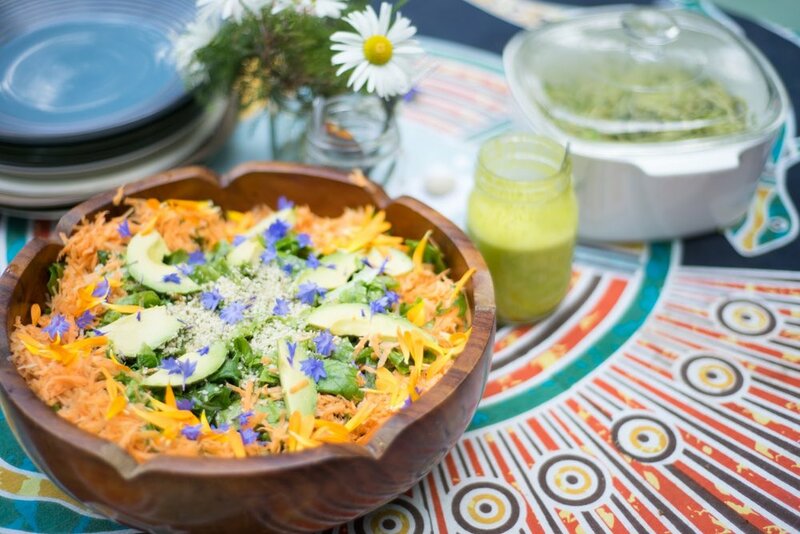 Based in Vancouver BC and traveling throughout the world to spread the Light, he is a practiced Energy Healer, Light Worker, Intuitive Medium and Raw Vegan Chef. As well as regularly running group classes, he also offers private classes in any of these areas - get in touch to find out more! CHRISTINA MARIA is a Certified Divine Light Healing Practitioner. Her life as a yogi has been filled with the exploration, study & daily practise of various styles of yoga culminating in a lifestyle deeply devoted to living artfully, mindfully & with true purpose. 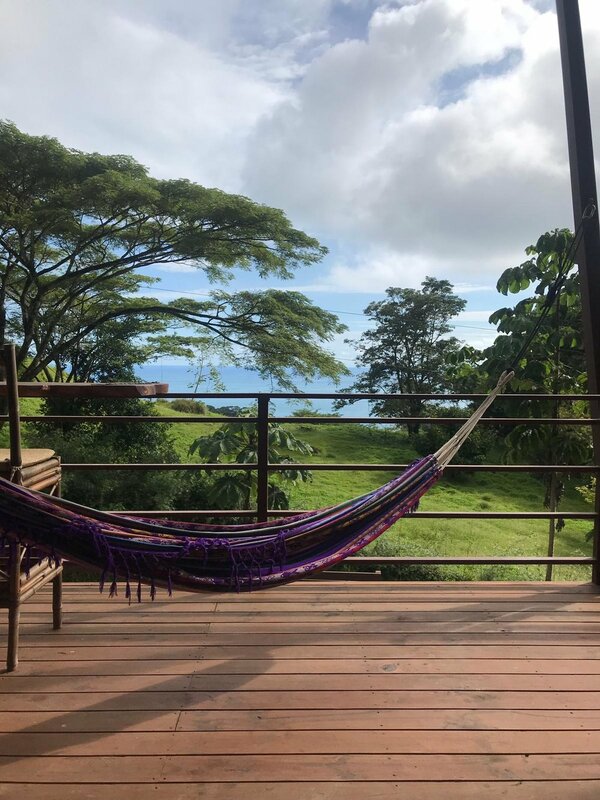 It was in 2018 when Christina first went to Costa Rica for her first Shamanic intensive training that she made the connection between her passion & her true calling. Travelling the world to practise & teach yoga is one of the most high-vibrating & soul-nourishing experiences & Christina is blessed to have experienced many different Light Workers sharing their gifts & teachings. With the support of yogic & Shamanic healing techniques, Christina is able to hold a clear & healing space for those seeking to explore the deeper parts of who they truly are, discover their own, unique gifts & share them with the world! 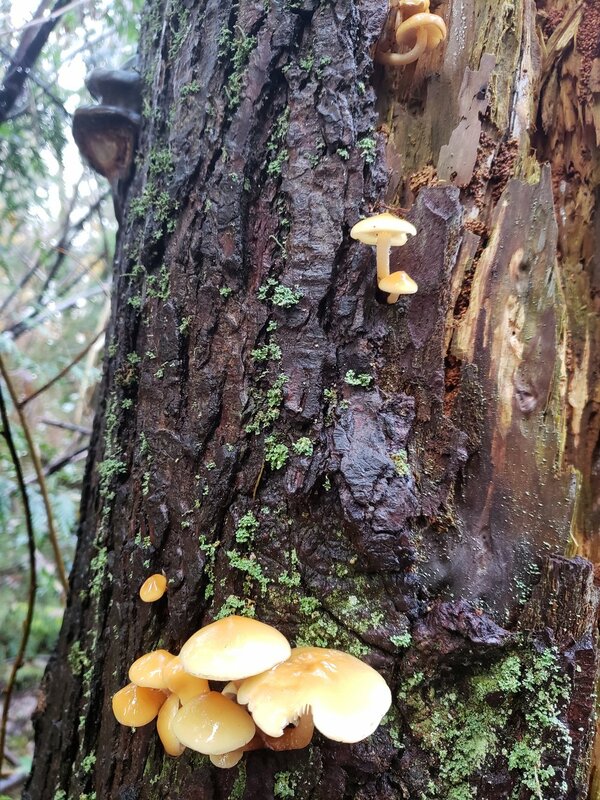 Based in North Vancouver, BC & travelling often, Christina is a Writer, Mother of two beautiful children & co-facilitates healing workshops & ceremony throughout BC. MEALS INCLUDED GOURMET vegan and gluten free food, 3 nourishing meals per day plus a variety of home-made snacks throughout. $1888 USD per person, for two people in a double private cabin. *Pricing includes ALL food, accommodations, excursions (excluding personal purchases) yoga, meditation & workshop instruction. Pricing and accommodations are subject to availability at time of booking. Reservation requires only a 20% deposit. Payments are non-refundable, but may be transferred to another person wishing to join the retreat, or may be applied to any of Soul Ascension Healing Arts' future programs, courses or retreats. Programs are no longer transferable after program start. Please write us from the contact page linked below and let us know why you are interested in this retreat and what you hope to focus on. We will be happy to answer any of your questions prior to booking. Please contact us if pricing is an issue for you. We offer payment plans and occasionally work with trades. Eli, Christina & the Soul Ascension Family!